Break type: Classic right hand point break; Surfing conditions: Medium to big swells, offshore in east/northeasterly winds; Tips/Hazards: Crowded, rips when big, entry and exit. Mystic world famous right point break. has long waves and big breaks which can break for up to 1 kilometer. Functions well when swell is big, tube section on good winter swell. 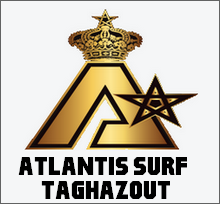 This quality spot that can show perfect lines is about 1 km north of Taghazout town center. It breaks off a pier and can connect all the way into Taghazout .